British Airways is often known as ‘London Airways’ to its detractors, and for good reason. For a number of years now, BA has not operated a single flight from a UK regional airport that went anywhere except London. As far as Avios collectors are concerned, any redemption flight on BA from the regions means a change of plane, usually at Heathrow. To be fair to BA, they do not penalise flyers from the regions – a redemption from Manchester – London – Hamburg costs the same in Avios as London – Hamburg. However, the extra couple of hours added to your journey time is not always welcome, especially if travelling with children. There are, however, some opportunities to fly from the UK to Spain from the regions. This is because, in April 2013, International Airlines Group, the parent of British Airways, took full control of Spanish low-cost airline Vueling for €123m. 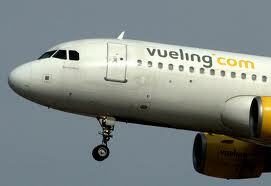 Unlike Iberia, Vueling is profitable. Oddly, despite being based in Madrid, Vueling will NOT be merged into Iberia but will be run as a third leg to the company alongside BA and Iberia. That said, if you buy a paid ticket on Vueling, you can only earn Avios in Iberia Plus and not British Airways Executive Club. Vueling is a bit like easyJet, with a low cost structure and, more importantly, a low paid crew. It is possible that BA’s operations at Gatwick will be transferred to Vueling, possibly with it operating as a BA franchise in BA colours. This would massively reduce costs and allow it compete better with easyJet. Another option is that more of Iberia’s short-haul operations will be transferred across. There is one key thing you need to know about Vueling and Avios points. At present, you can only earn Avios and spend Avios on Vueling via Iberia Plus. you cannot move Avios into Iberia Plus until the account is ‘active’, ie has earned at least 1 Avios. This can be done with an Amex Membership Rewards transfer, crediting a BA or oneworld flight, crediting a hotel stay or car hire or even buying 1000 Iberia Plus Avios. One more tip – you should look up the Vueling timetable before trying to book, as the antiquated Iberia Plus website will throw up an error message if you search for flights on days when flights do not operate. Raffles, We earned a whole 7 points for our Iberia Plus by getting sandwiches at a Repsol garage in Spain:) The account is over 90 days and I think this would entitle us to do any transfer, perhaps an opportunity if readers are ever over there. Ann, thanks for the tip. Naive question but do you just present your Iberia plus card at the repsol garage when you pay to earn the points? Raffles your comment about not getting an allowance for a free suitcase is true if you book on the Vueling website. If you book on the Iberia website as a code share flight you do get 1 piece of hold luggage. In my experience the price on the Iberia website is marginally more but a lot less than a fare inclusive of hold luggage. Thanks, good to know. I will add a line to the text. Although not operated by BA, the franchise flights to BLL and GOT from MAN deserve a mention. When you look at the cash prices, these are two of the best value short-haul Avios redemptions available. Agreed. I did mention these in the Reward Flight Saver piece the other day. Is it possible to fly to Barcelona on vuelling using Avios and then use Avios to fly using Iberia to one of the Canary Islands as Vuelling doesn’t fly direct to the Canary Islands from the Uk. Would that then generate higher APD as the journey originated in the uk ? If so, would a separate booking for each journey prevent this ? APD is distance based, but driven by the capital city of the country visited. Since the Canaries are Spanish, APD is theoretically the same whether you fly to Barcelona or the Canaries. Thanks raffles, is there much difference in the APD from uk to Canary Islands than from mainland Spain to Canary Islands ? None, because the Canaries (I assume) counts as Spain and so both options get charged at the UK-Spain rate. Do they still do MAN-GOT (which I believe then flew onto Aarhus)? I did it in May last year and the flight was quiet on the way there (12 passengers) and practically empty on the way back (4 passengers). I don’t think it’s listed on the Avios travel map anymore so I presumed the route has been cut. Pity though, Gothenburg was lovely, and the flights would have been about £500 each otherwise. It is still on the Sun Air website, I checked when I updated the Reward Flight Saver article. See http://www.uk.sun-air.dk/cms.cfm?nPageNo=63913 – although no mention of it continuing to Aarhus. Although, confusingly, they also still fly Gothenburg to Aarhus …. Dummy cash booking for this month works OK.
…but not one for next year. MAN website says it runs until Oct 2014 though, so not sure. Hope GOT is still running, I do want to go there for a weekend. A pity non Londoners cab’t get IB to add in domestic flights in the UK for free. Hi Raffes, I have just spoke to an Avios agent and unfortunately the MAN GOT direct route is no longer available. Less options now for us northerners. Avios.com or ba.com agent? You cannot book Sun Air via avios.com, I guess, because it is a partner only of BA. That was speaking to Avios agent, not BAEC. I checked for availability on BA but have found nothing so far. Try 24th-27th of Feb on both avios.com and ba.com as an example, it prices up fine. According to the Sun Air site, the current timetable is only valid until 29th of March 2014. This matches the availability online, both cash and reward. This is true for all of their routes as far as I can see, so no immediate danger of discontinuation. On avios.com the flights have the white background rather than the blue for true BA.